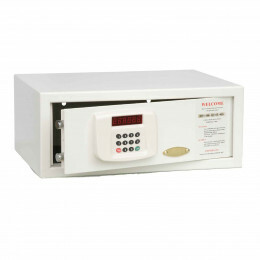 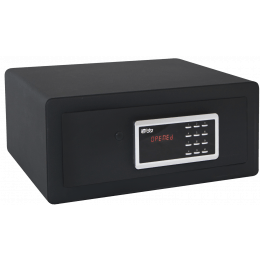 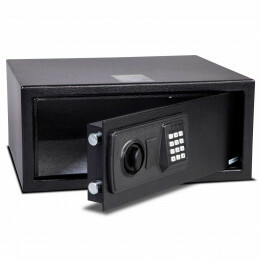 Hotel Room Safes and Multi-User Safes are designed for multi-occupancy use in hotels, hospitals, nursing care homes and student accommodation for multi-user use so that any new user can program their personal code when opening or closing the safe. 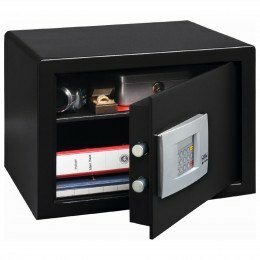 All hotel room safes have the unique facility of having a master code in order for designated personnel to open the safe in an emergency or when the user/guest has left the safe locked after leaving the hotel. 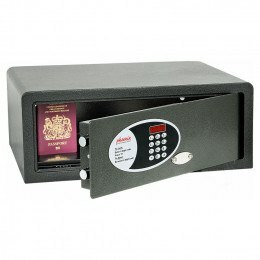 Choose from our Electronic Hotel safes, Audit trail Hotel safes and Laptop size Hotel safes to secure Passports, Mobile phones, Laptops, Jewellery and other valuables.securely. 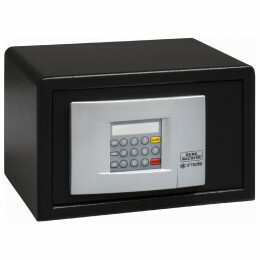 What is the difference between a Hotel Safe and a home security safe? 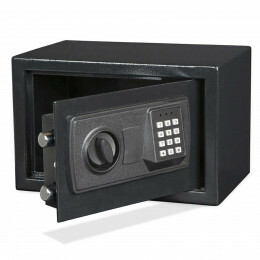 The only difference is the design and operation pf the lock. 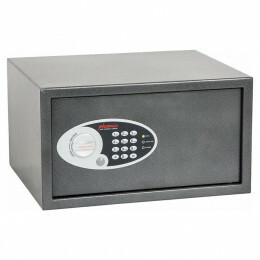 A hotel room safe is designed for multi-user use so it is ideal where the user of the safe is constantly changing - in a hotel of course, students accommodation and hospitals as well. 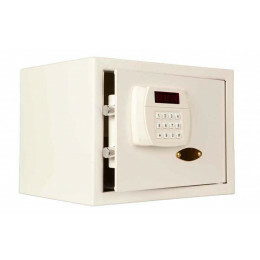 A Hotel Room Safe lock allows each user to set their own code when first using the safe - they find the safe door open on arrival, enter any preferred code, close the door and the safe can then only be opened by that same code. 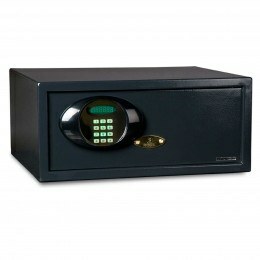 The next guest will then enter their own code to close the safe and so on. 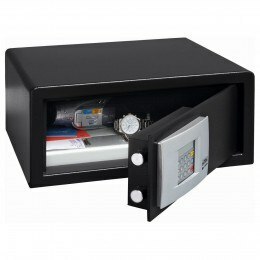 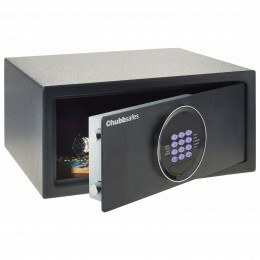 A Home security safe, on the other hand, does not need a code to close the safe - just the pre-programmed code to open it. 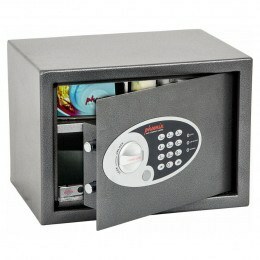 In-Room Hotel Safes: Use Them or Lose Them? 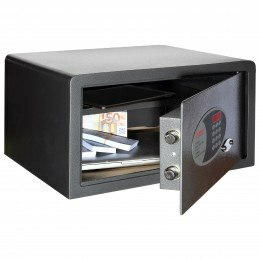 The age-old debate over whether the safe in your hotel is actually good at keeping your belongings secure continues. 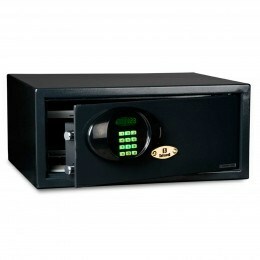 In truth, it's something which you can never answer.